Regular late payments from buyers is threatening the existence of businesses of all sizes, with smaller businesses most affected, according to the latest report from the Association of Chartered Certified Accountants (ACCA). The ACCA is the world’s leading body for professional accountants, with over 110 years of experience, innovation and excellence. They champion opportunity within accountancy, demonstrate excellence, and act as a driving force within the accounting sector to improve working practices. During 2014, ACCA conducted a review of the widespread problem of late payments, which is a life-threatening challenge for many businesses. This review brought together research to identify potential solutions. From the review, ACCA developed a series of reports to show how late payments are having a detrimental effect on businesses of all sizes. The papers, named Ending Late Payment (1, 2 & 3) suggests that ….”30% of payments made to businesses in the UK are outside of agreed terms – with between 16 and 21% not being made until more than 60 days after the initial service”. The report claims the prevalent culture of late payments is largely down to the lack of a financial infrastructure that can boost trade credit. Ending Late Payment Part 1 – reviews the quantitative data from the ACCA surveys to define late payment and its impact on our economy. Ending Late Payment Part 2 – reviews and brings together a spread of commissioned publications and secondary research to help define good practice. Ending Late Payment Part 3 – provides a summary of the findings and most importantly recommends calls to action for Government, financial services and businesses. Creating and building longer term relationships. Aligning objectives between all parties. Careful contract design and ensuring that credit policies are understood. Exploring and securing alternative sources of finance such as factoring/invoice finance. Distinguishing between late payment and genuine credit risk. Working on the above aspects will indeed help resolve late payment issues, but the number one question on lenders lips is ‘Why is invoice finance the last option they choose to help manage late payments and cash-flow?’. Well, to understand why, look at the list and ask yourself what the common denominator is? You may be thinking that these are all about improving internal processes except for invoice finance. If you are, then you are part of the majority. But, think of it like this, if you want to create longer term relationships in your business, you may already outsource your communications plan for a fee. The exactly the same can be said for using invoice finance – outsourcing this will become a way of managing your invoices, regulating cash-flow and ultimately avoiding the pitfalls outlined in the report. So effectively, invoice finance is a way for businesses to regulate cash-flow and ensure late payments are avoided, just like using a communications agency to regulate relationships. Effectively, invoice finance can be used as a management tool for defining and creating solid cash-flow management processes. 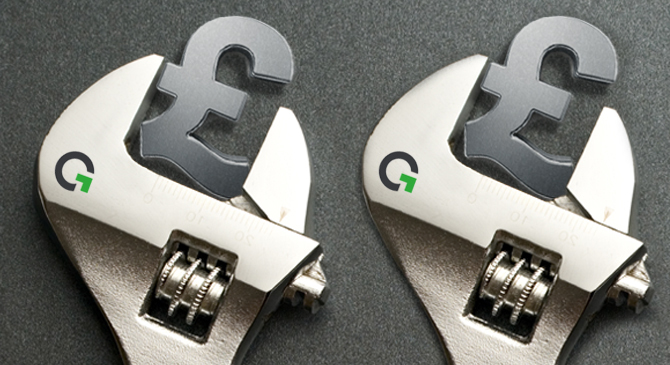 Gener8 Finance is one of the UK’s leading invoice finance solution providers. We are here to clear cash-flow obstacles from your path, make the invoicing cycle work in your favour, and deliver the peace of mind that comes from knowing that you can meet your payment obligations on time, every time. Our solutions are highly flexible and are designed to evolve as your ambitions and circumstances change. Contact Gener8 to find out how we can tailor a solution to meet your business needs.